WHAT I THINK ABOUT WHEN I THINK ABOUT HOLIDAYS … – We’ve just got back from our annual spring holiday in Trelowarren, Cornwall. I love holidays! I believe they’re absolutely crucial for boosting creativity. To be honest, I didn’t once think about the thriller I’m writing at the moment – but I hope I’ll approach it with vim and vigour and some fresh ideas when I get back to working on it. What the holiday allowed me to do – by stepping away from my daily routines, minor stresses and familiar environment – was to give me the space and time to think about the Bigger Picture. Normally I try and read as many novels as possible when I’m away (although that can feel like work!) but this time I read some non-fiction books. I started off with Better than Before: Mastering the Habits of Our Everyday Lives by Gretchen Rubin, which is about how to be more productive and happier by changing your habits. I loved it so much, I read Rubin’s first book in this series – The Happiness Project: Or, Why I Spent a Year Trying to Sing in the Morning, Clean My Closets, Fight Right, Read Aristotle, and Generally Have More Fun. So now I have a list of new habits to help me Be More Productive and Have More Fun! GO – TREBAH GARDEN – Good God.When I consider the melancholy fate of so many of botany’s votaries, I am tempted to ask whether men are in their right mind who so desperately risk life and everything else through the love of collecting plants. Whenever we go to Trelowarren, we always try and fit in a visit to Trebah Garden, one of the oldest and best in Cornwall. It dates back to at least 1086 when it was mentioned in the Doomsday Book. It was Charles Fox, a Quaker, who acquired it in 1838 and turned the estate into the gem it is today. The Foxes, who part owned tin mines and pilchard fisheries, were shipping agents and were able to import exotic plants, many of which had never been grown in Britain before. GO – TRELOWARREN – It is so nice when one’s natural inclinations coincide with one’s principles. Every year we stay at Trelowarren, a Cornish estate run on environmentally-friendly principles, which happens to be also beautiful, luxurious, wild and tranquil. 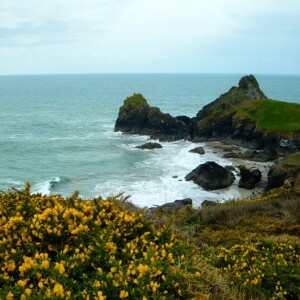 a gym, a spa stocked with organic Speiza products, a wood-roasted pizza bar, a restaurant selling organic, local food, an art gallery, wild paths from the doorstep through bluebell and wild garlic-filled woods, wildlife, rivers, beaches (this is Kynance Cove, owned by the National Trust) and a literary heritage – Daphne du Maurier’s eponymous Frenchman’s Creek is a stone’s throw away. This is a stunning walk – through the estate to Kestle Barton art gallery, a truly serene space with a help-yourself cafe – continuing along the shores of Frenchman’s Creek and on to Helford Passage, where there’s a cafe in a former church. 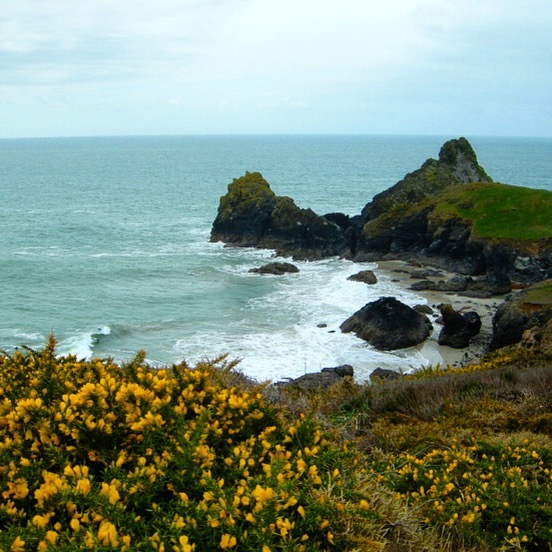 We also try and fit in a trip to the Lemon Street Art Gallery and the farmer’s market in Truro, a pub lunch or picnic by Helford river – a wildlife haven with hidden coves – a stroll through Trebah gardens and a visit to Roskilly’s for their famous organic ice cream.